That low pressure also is expected to bring cooler temperatures to the Carolinas by late this week, Lamb said. According to AccuWeather, the storm could create dangerous seas from Bermuda to the Southeast coast by late this week. 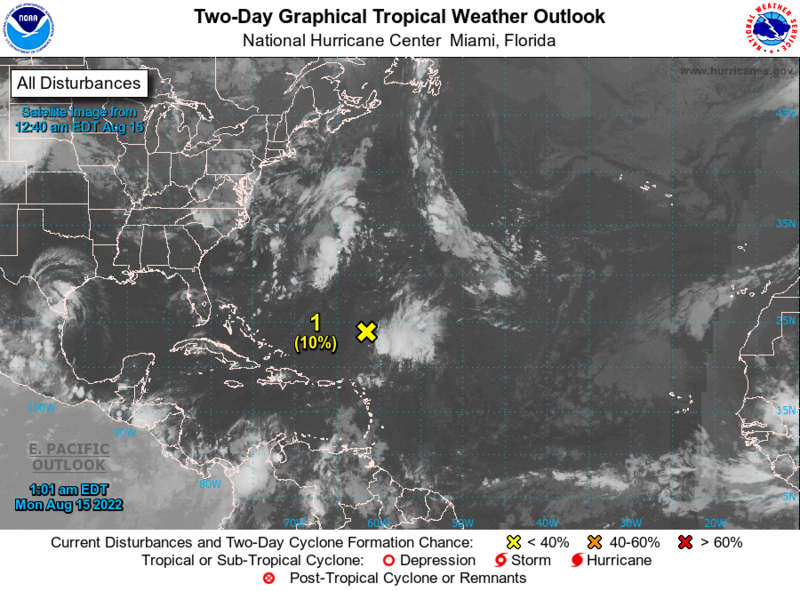 "The system will act to disturb the ocean surface and send out waves to impact the Southeastern seaboard as early as Friday morning," according to AccuWeather meteorologist Chyna Glenn. Lamb said the Lowcountry could see minor effects from the tropical storm system, including rough surf, elevated swells and potentially dangerous rip currents. Tides have been abnormally high this week due to the full moon, Lamb said. They are expected to recede by this weekend.